TWTD readers have the chance to win two tickets to a sporting dinner featuring Blues legend Russell Osman at Greshams on Thursday 4th April. 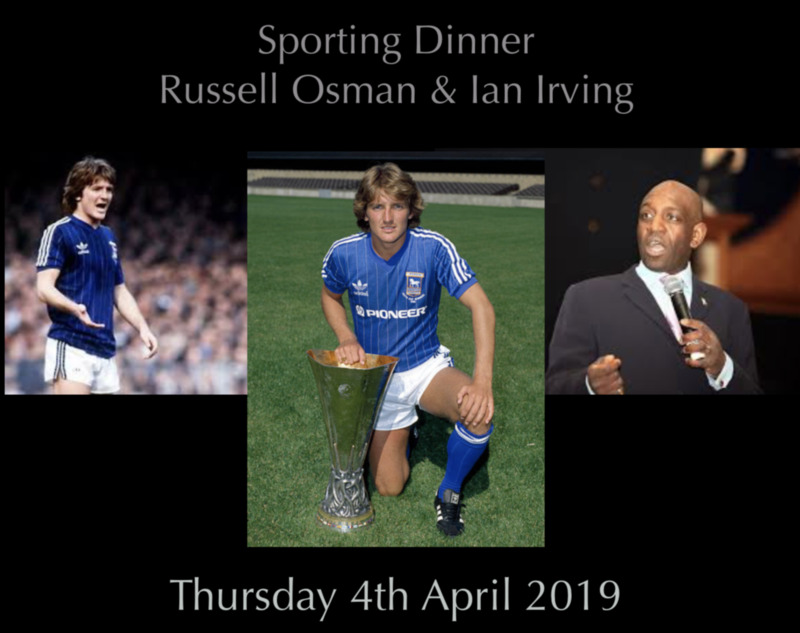 As well as Osman telling tales of his playing days with the Blues, England and a number of other clubs, comedian Ian Irving will also be appearing at the event where there will be a two-course meal. In addition, there will be an auction to raise funds for The Beat Goes On, the campaign for a statue of Osman’s team-mate Kevin Beattie. To win the pair of tickets, tell us in an email sent to competition@twtd.co.uk arriving before midnight on Friday, in which other sport Osman won England schoolboy caps. The winner will be selected at random from the correct answers. If you can’t wait to buy tickets or aren’t very good at winning competitions, you can buy them here via Greshams. Tables of 10 cost £300 or single tickets are £35 per person.